​Terri Nash is an educator, storyteller, healer, and retired birthing midwife. She presently midwives individuals through their dying process. Terri will provide context for Tibetan views on dying and discuss the signs of dissolution of the Elements in the body during the dying process. ​Terri has grown in understanding about Tibetan's unique view of the interplay of living and dying. The Tibetan methods invite both the dying person and caregivers into an embodied experience of compassion in action. These methods, utilized for thousands of years, reveal the true nature of the human mind and heart. Please join us to learn more. Location: Hospice of the Foothills. Details. Free event/ Donations (Dana) accepted for benefit of guest educator. To serve and educate the living in understanding options and rights in death & dying. bringing back the tradition of home death care through our guidance and local resources. We advise families/community on the full spectrum of dying and death in order to better inform our lives. green burial, creative dying process, ceremony, grief processing and more. "Let's have a conversation. Let's do death differently." 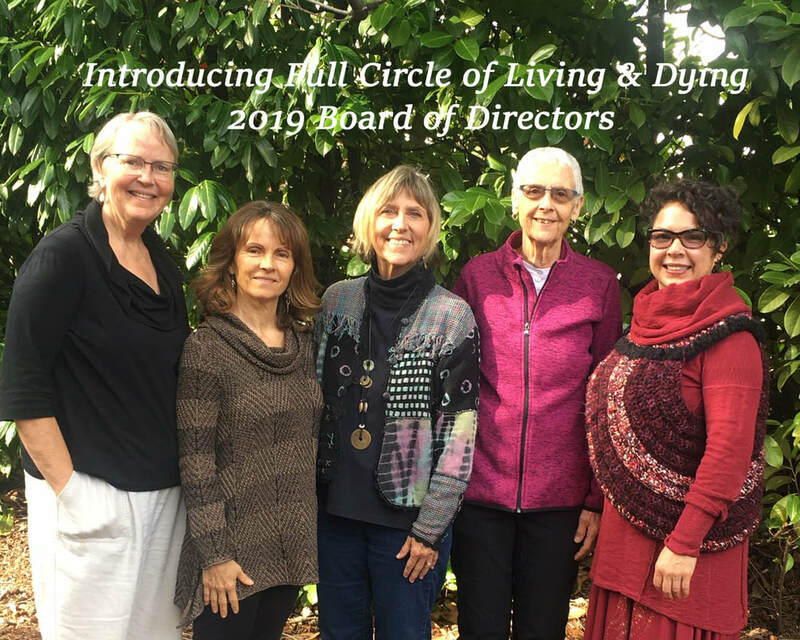 Full Circle of Living & Dying is now a 501(c)(3) nonprofit. ​ We are happy to continue to serve you! Thanks for your contribution. give guidance for in-home death care & home funerals. Wrap me tight in earthen cloak.